An interview with Rosemary Gibson, co-author of "The Treatment Trap"
En español | Most of us go to the doctor when we're sick or for a checkup. Sometimes, our doctors give us tests or send us on to specialists or to the hospital for extra ones — most often as a precaution. We receive advice, maybe a prescription, and stay happy and well. Occasionally, we have to schedule a small procedure or a more complex surgery to fix what isn't right. Need more information on how to avoid medical errors? Use these below tools to get started. However, for as much as a third of the American public, the situation can be quite different. They go, in good faith, to the doctor's office, and receive unnecessary tests, treatments, procedures, even surgeries — and were basically healthy to begin with. And the older you are, the more likely it is you'll be one of them. In their new book, The Treatment Trap: How the Overuse of Medical Care Is Wrecking Your Health and What You Can Do to Prevent It, Rosemary Gibson and Janardan Prasad Singh document how billions of dollars is wasted in the United States each year. They explore the reasons why many physicians are overly cautious, incompetent, or under great pressure to produce revenues in a health care system that seems to encourage these practices. Doctors and hospitals are reimbursed by insurance companies and Medicare on a fee-for-service basis — "an open-ended invitation for overuse," says Gibson, a health care expert from the Robert Wood Johnson Foundation. In addition to bloating the medical economy, unnecessary medical treatment can cause a wide variety of problems for the patient: anxiety, pain, longer recovery times, the need for more treatment, incapacitation, even death. In case after real-life case, The Treatment Trap reveals in frightening detail how this can happen to unsuspecting patients — and how you can protect yourself. Rosemary Gibson spoke with AARP Bulletin about medical abuse and overuse. Q. Billions of dollars is wasted each year in unnecessary medications, tests and procedures? A. One-third of the money our country spends on health care is overuse and waste. It doesn't make people better off. That translates to about $700 billion dollars a year. That's real money that could be used for medical care that people really need. Q. What is the Green Monster that you mention in the book? A. The Green Monster is the personification of money in medicine. We've built a system with a national credit card that every hospital, doctor, nursing home, home care agency, device manufacturer, pharmaceutical company and insured patient can use and say: "Charge it!" The bill goes to Medicare, and the federal government borrows money from China and other countries to pay it. Part of the federal income tax that we pay on April 15 goes to China for interest on the money the federal government borrows. A substantial portion of this debt is for overuse of medical care. Q. What about the cost to private insurers? A. Overuse raises the cost of health care overall to the point that it is becoming unaffordable for everyone, whether they are insured by private plans or Medicare. Q. Other than the economic cost, explain how overuse can directly affect patients. A. Take the story of Tom Vallier from Oregon. His doctor diagnosed bladder cancer based on a shadow on a monitor during a cystoscopy, but never did a biopsy to confirm the diagnosis. The doctor told Vallier while viewing the monitor, "Look at that, it's cancer. We need to get that out right away." Vallier went ahead and had outpatient surgery because he and his wife believed that when a doctor says you have cancer, it's true. After the operation, he learned that he never had cancer. The shadow turned out to be scar tissue. If he had stayed overnight for the procedure in the hospital, the insurance company would have required a biopsy and lab report to confirm the diagnosis before authorizing the surgery. "My husband and I felt so violated," Mrs. Vallier told me. The lesson here is: Always get a biopsy. Q. Other stories tell of more dire consequences. A. A patient was given a double knee replacement without a thorough checkup prior to the surgery. A thorough physical would have shown that he didn't have pain in his knees, which might have indicated arthritis. Instead, the pain was in his legs and was caused by peripheral vascular disease [a circulatory problem that often involves narrowing of the arteries]. Knee replacement surgery put him at risk and offered no benefit. Three days after the operation he died of a massive heart attack. Q. In the book, you say the volume of certain surgeries is incredibly out of control. A. Ovariectomies for one. About 50 percent of the 600,000 women who have a hysterectomy each year also have healthy ovaries removed. Even after menopause, ovaries continue to dispense hormones that keep heart disease and osteoporosis in check. A study in the journal of the American College of Obstetricians and Gynecologists found that women who had the procedure and had no risk factors for ovarian cancer were more likely to die prematurely from heart disease and osteoporosis-related hip fractures. A. A study by the Harvard School of Public Health and the Rand Corporation concluded that one-third of people who were told they needed heart bypass surgery did not need it. In addition, 17 percent of patients who had the surgery did not have severe enough heart disease to warrant surgery. The problem was that the angiograms were read incorrectly. If the 17 percent figure were applied to the number of bypass surgeries performed annually in the U.S., 42,500 surgeries may be unnecessary. CT scans, back surgery, carotid surgery to prevent strokes, and Pap smears are also overordered and overperformed. Q. In your experience, what is the top violation of the patient-physician trust? A. People expect health care professionals to act in the patient's best interest. A survey by the American College of Physician Executives of their members found that 80 percent of respondents were very or moderately concerned about their physician colleagues overtreating patients to boost their income. When the bottom line supersedes the patient's interest, that is a profound violation of trust. A. In one case, Ron Spurgeon, a millwright from Redding, Calif., had coronary bypass surgery at Redding Medical Center after a diagnosis of a severe blockage. The year that Mr. Spurgeon had his bypass surgery, the medical center had the highest rate of heart bypass surgery in the nation. The center was later investigated by the FBI. That's when Ron learned that he was among more than 700 patients who had had unnecessary heart procedures. The center and the doctors paid nearly $500 million in fines and penalties; however, no criminal charges were ever brought against the center, its administrators or its physicians. Q. Was no oversight in place? A. Physicians are supposed to monitor the care their colleagues provide to patients. In this instance, the system of peer review completely failed at all levels — the hospital, the state medical board, as well as Medicare. The case came to light only when a patient blew the whistle and contacted the FBI. Q. What is the medical profession doing to police overuse? A. Very little. 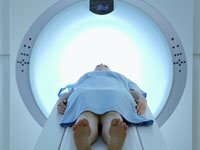 In November 2008, the National Quality Forum, a Washington-based group comprising physicians, nurses, consumers and other stakeholders, identified tests and procedures that are overused. This was an important step forward. But very few meaningful steps have been taken to stop the spiral of overuse. In fact, it is an epidemic and is likely to continue. The best advice I can give: Caveat emptor. Q. Will the new health care reform law do anything to prevent overuse? A. Health reform legislation has proposed pilot projects that would reduce the incentive for hospitals and doctors to overtreat. This is unlikely to curb overuse anytime soon. A. People who experience overuse and who are harmed by it need to speak out. Doctors and nurses who see overuse need to blow the whistle. If the public and the professionals did this, overuse would be a front-page story every day in every newspaper in the country. Q. How does fear play into overuse? A. It's two-sided. Physicians want to provide the best care to their patients and don't want to miss a critical diagnosis. They want to cover all their bases because patients' lives are in their hands. Fear of missing a diagnosis drives overuse. Patients are afraid, too. Many will want everything done. They may be unaware that the risks could be greater than the benefits. Q. How can we mitigate our fear? A. One way to combat fear during an illness is to know that you are not alone. Reputable online communities, like the Association of Cancer Online Resources, offer a place where people in similar situations can learn from others about their experience of illness and how they manage it. Knowing that others have traveled the same path can mitigate the sense of isolation and gut-wrenching fear. Q. What steps must a patient take to protect him- or herself against such overuse? One, if you are facing a medical decision about a procedure, ask yourself the following questions: What is the procedure? What will it do for me? What are the risks? Are the benefits greater than the risks? What treatment options exist that may be less risky and less costly yet achieve a similar benefit? How will my quality of life be affected? How much pain will there be and for how long? Will I be back to normal? Two, obtain multiple opinions, do your homework, and look for a physician who you believe has your best interests at heart. Follow your gut instinct. Three, be media-savvy. Don’t fall for marketing and advertisements. They will never tell you the full picture. If you sense a provider has a conflict of interest, obtain another opinion. Finally, if you are considering surgery or a procedure and the decision does not have to be made right away, ask for the informed consent form a week or more before the procedure. Take it home, read it carefully, and write down the questions you have. Ask your doctor those questions, and have your questions answered, before making any decision.